A Mass Air Flow sensor (MAF) is one of the key components of an electronic fuel injection system in your car. It is installed between the air filter and the intake manifold of the engine. See the diagram. 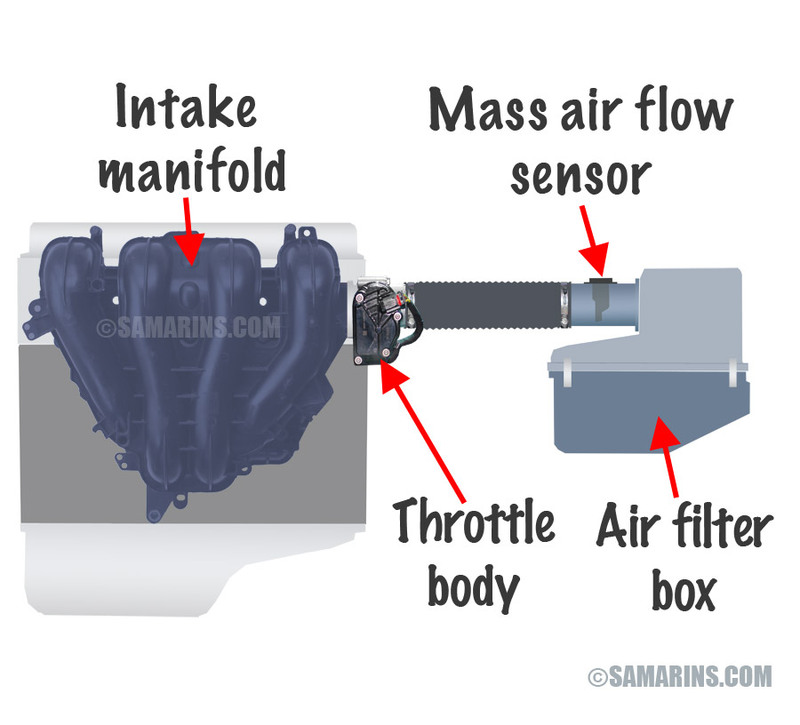 The mass air flow sensor measures the amount of air entering the engine or the air flow. 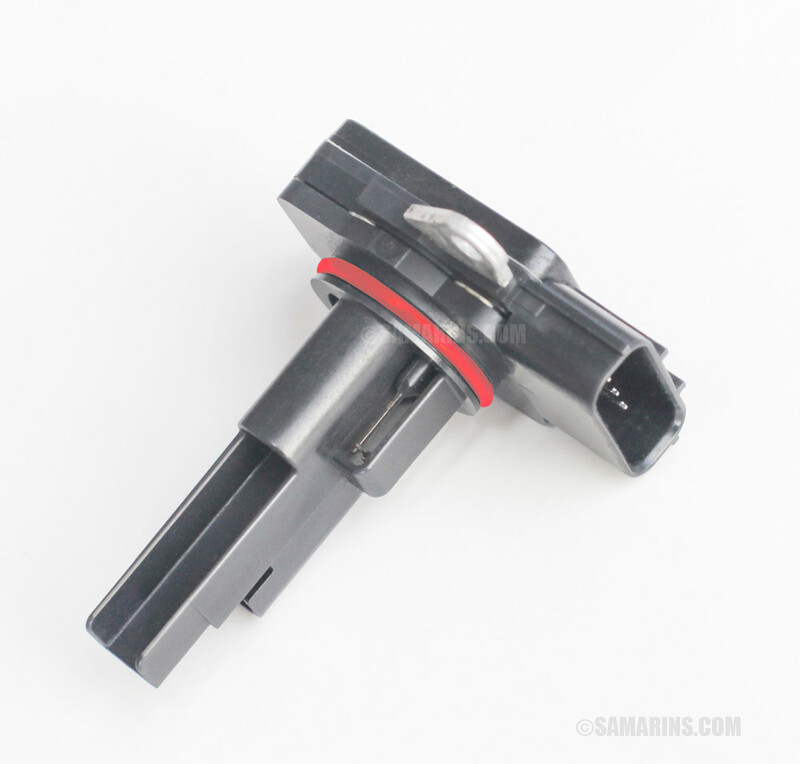 In modern cars, an intake air temperature sensor or IAT is built in the mass air flow sensor. 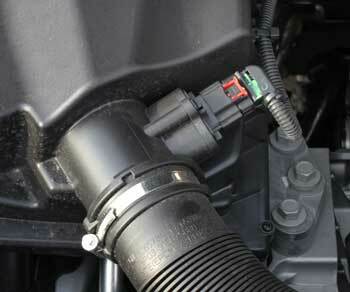 There are few types of air flow sensors, however, modern cars use a hot-wire type. Let's see how it works. A hot-wire mass air flow sensor has a small electrically heated wire (hot wire). A temperature sensor installed close to the hot wire, measures the temperature of the air near the hot wire. When the engine is idling, a small amount of air flows around the hot wire, so it takes a very low electric current to keep the wire hot. When you press the gas, the throttle opens allowing more air flow over the hot wire. The passing air cools the wire down. The more air flows over the wire, the more electrical current is needed to keep it hot. The electric current is proportional to the amount of the air flow. 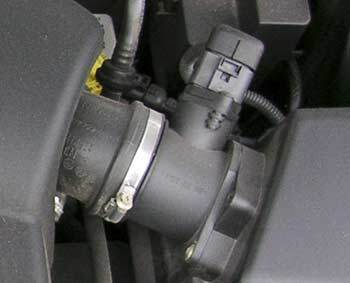 A small electronic chip installed inside the air flow sensor translates the electric current into a digital signal and sends it to the engine computer (PCM). The PCM uses the air flow signal to calculate how much fuel to inject. The goal is to keep the air/fuel ratio at the optimal level. In addition, the PCM uses the air flow readings to determine the shift points of the automatic transmission. If the air flow sensor doesn't work properly, the automatic transmission might shift differently too. Problems with mass air flow sensors are common in many cars, including BMW, GM, Volkswagen, Mazda, Toyota, Nissan and other brands. The sensor element could get contaminated or damaged. For example, in some Mazda Skyactiv engines, a failed mass air flow sensor could cause the engine to crank but not to start. An improperly installed or collapsed air filter can cause the air flow sensor to fail sooner. Over-soaking a washable air filter can also cause troubles with the air flow sensor. A contaminated or failed mass air flow sensor cannot measure the amount of air flow correctly. This causes the engine computer to miscalculate the amount of injected fuel. As a result, a bad mass air flow sensor causes various driveability problems, including a no-start, stalling, lack of power and poor acceleration. In addition, a faulty mass air flow sensor might cause the Check Engine or Service Engine Soon light to come on. A problem with the air flow sensor could also alter the shifting pattern of the automatic transmission. P0103 - "Mass Air Flow Circuit High"
P0104 - "Mass Air Flow Circuit Intermittent"
Trouble codes P0171 System Too Lean (Bank 1) and P0174 System Too Lean (Bank 2) are also often caused by a bad or contaminated mass air flow sensor. 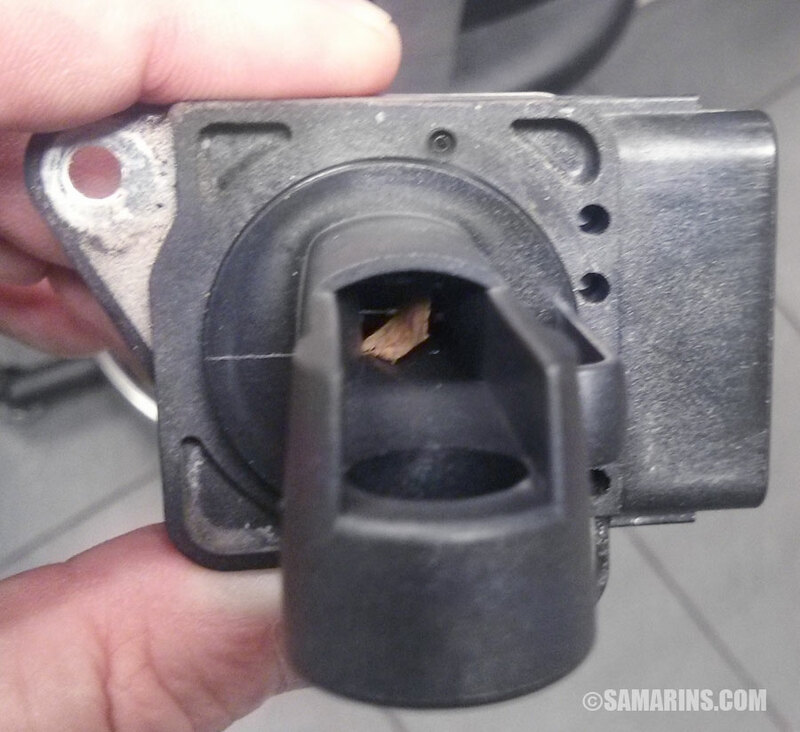 In modern cars, the only way to test the mass air flow sensor is with a scan tool. Mechanics measure and the mass air flow sensor readings at different RPMs. They compare the readings the specifications or to the readings of a known-good mass airflow sensor. Often the mass air flow sensor readings are measured at idle, 1,000 RPM, 2,000 RPM and 3,000 RPM. A contaminated or bad air flow sensor will, in most cases, show lower air flow readings than a known good one. In some rare cases a bad sensor may show higher readings. Of course, different engines will have different readings. The air flow depends on the engine volume, so a V6 or V8 engine will have higher readings. Low mass air flow readings do not mean the sensor is bad. 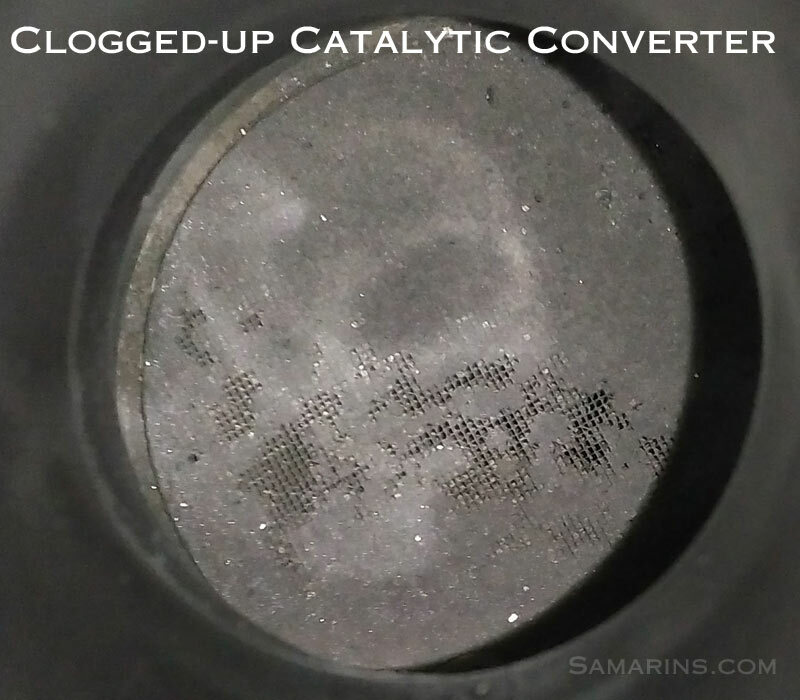 A clogged up air filter or plugged catalytic converter can also cause lower air flow sensor readings. Vacuum leaks affect the air flow sensor readings too. That's why mechanics use a known-good sensor to compare the readings. Read more: Vacuum leaks: common sources, symptoms, repairs. Is there a way to check the mass air flow sensor readings at home? 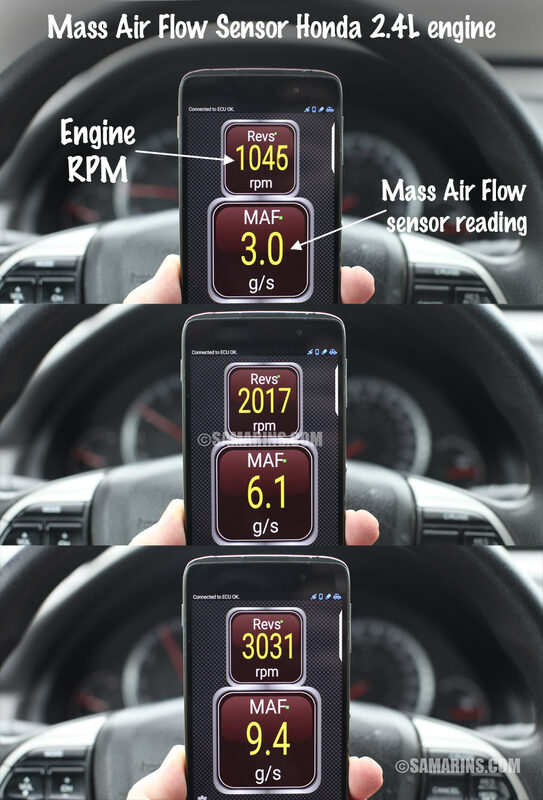 Of course, for example, here we used the free Torque app to measure the mass air flow sensor readings at different RPMs. This mass air flow sensor is good. 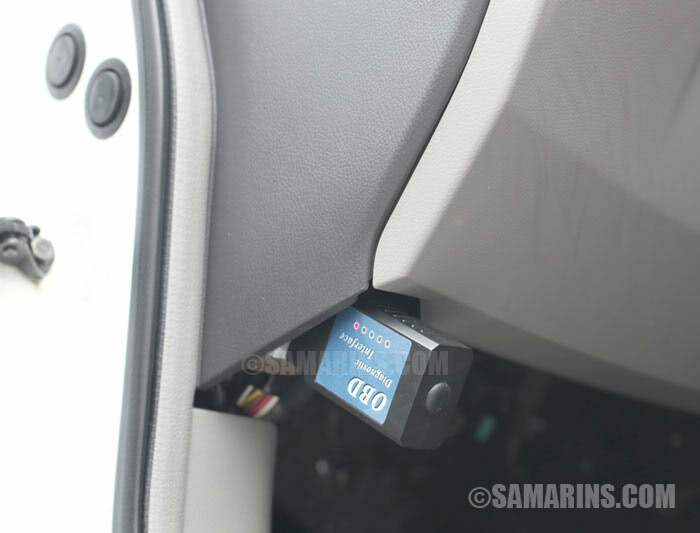 To use any phone app that connects to your car, you will need a Bluetooth adaptor that plugs into the OBD connector. We also posted several links at the bottom of this article, where you can get a subscription-fee based access to the factory service manual. 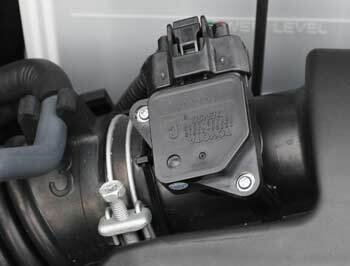 the air flow sensor connector could also cause the air flow readings to be out of range. For this reason, the air flow sensor connector terminals as well as the wiring needs to be carefully inspected. 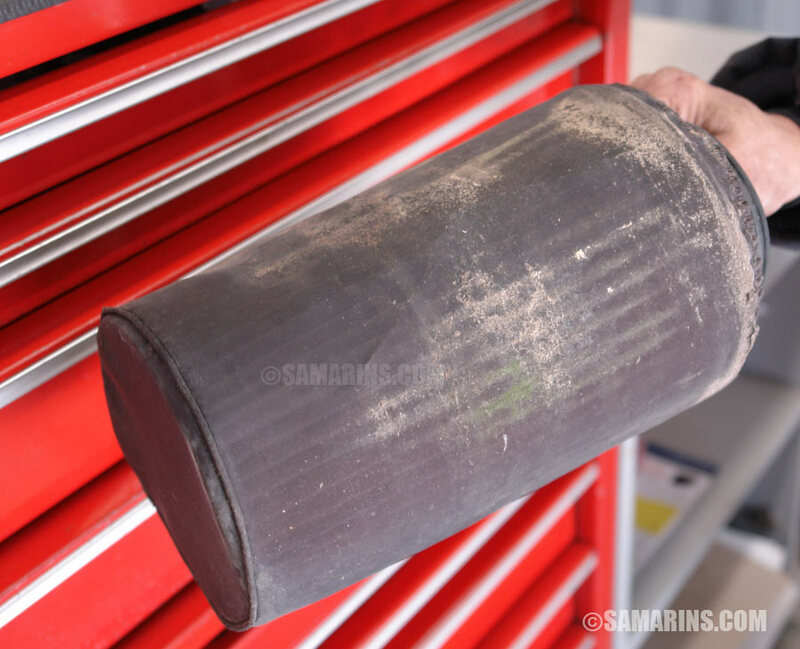 Often if an air filter is not installed properly, or the air filter box is not closed, a piece of debris can get sucked in into the mass air flow sensor (see this photo) and cause problems. Sometimes the debris can fall in during the air filter replacement. In this case, the repair is easy. The mass air flow sensor must be cleaned and the air filter must be reinstalled correctly or replaced. If the air flow sensor is bad, it needs to be replaced. It's a fairly simple job. The part could cost from $89 to $380. If a sensor is dirty, your mechanic may suggest cleaning it (cleaning the airflow sensor is a delicate procedure) as a temporary solution; sometimes it could help. When replacing the mass air flow sensor, make sure the air filter is installed properly.